Shoichi Uchiyama was born and bred in Tokyo. Since the foundation of Shoichi Uchiyama Design Office in 1977, he has been committed to creation of lighting fixtures with glare-free indirect light that make objects beautiful, and allow people to feel the texture and depth of objects. He seeks quality lighting through the design of lighting fixtures, and devotes himself to realize the beautiful effect of indirect light in space. 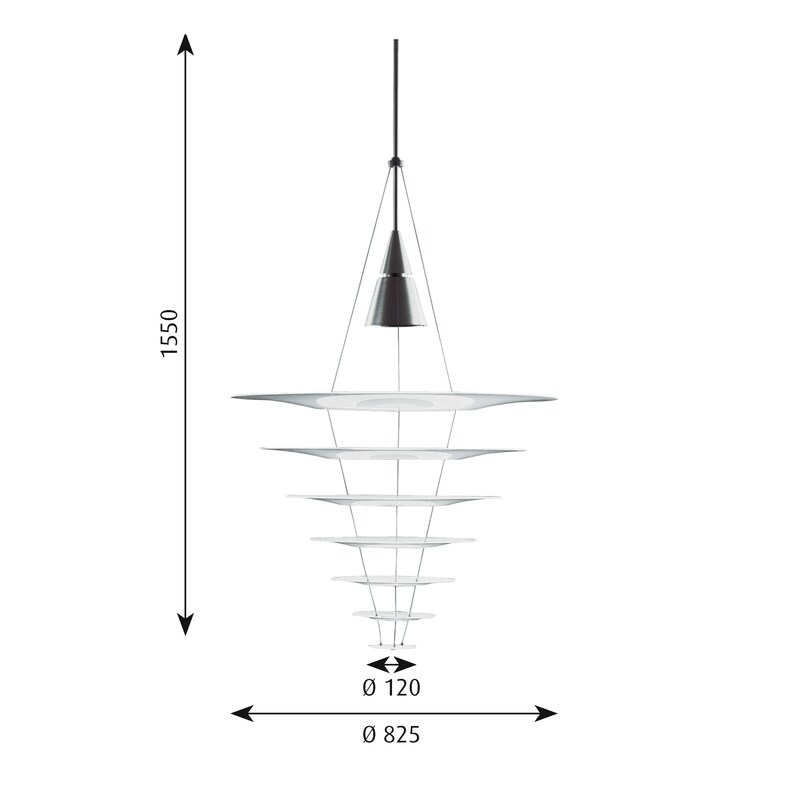 As a basic concept, Uchiyama tries to create the ideal light distribution and the elimination of uncomfortable glare by controlling of light, through thorough understanding of light source characteristics. He believes that the verification process for lighting effect in particular is essential to pursue high-quality lighting. By preparing for the fixture's full scale mock-ups with actual light source, he examines the intensity and color of light, the shadows casting on the objects, as well as the fixture's aesthetic appearance. Such strict design process leads to the creation of simple and functional form, and it finally gives his products a minimalistic beauty of Japanese tradition. Uchiyama's lighting fixtures, which are created through an accurate calculation of light, are the proof of his design philosophy. He has won the iF Award in Germany and the Good Design Award in Japan for designs created by his unique talent. Mounting Suspension type: Cable 3x0,75mm² & wire. Canopy: Yes. Cable length: 1,5m (HIT) or 4,0m (QT). 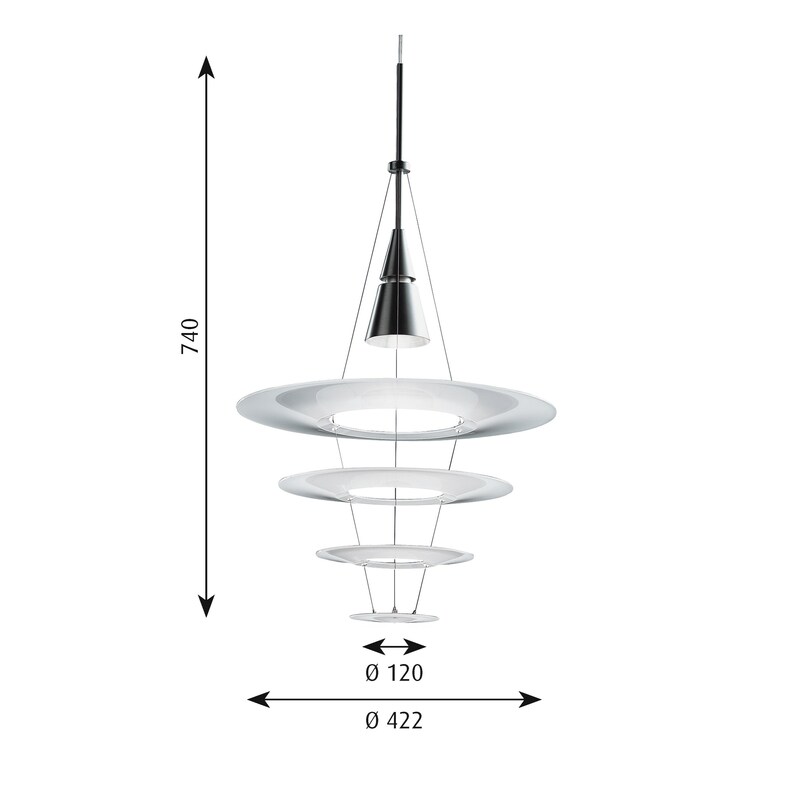 In 2003, Shoichi Uchiyama unveiled a new design for Louis Poulsen: the Enigma lamp, which deconstructed the traditional 3 shades Louis Poulsen pendant into a thin-layer chandelier with concentric circles. 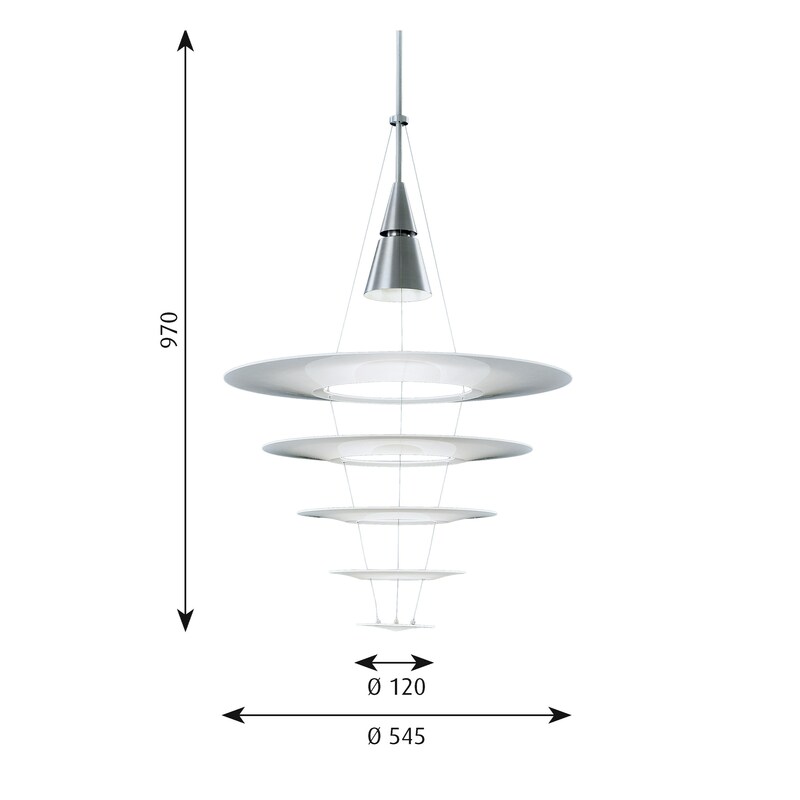 Its modern simplicity, original shape and unique light design have quickly made Enigma a bestseller. Originally made in brushed aluminium, the Enigma pendant is now available in a new elegant black declination. Material Cone Enigma 425, 545: black aluminium – Enigma 825: coloured black. Wire: stainless steel. Shades: matt acrylic.